Canada often is the country of choice for immigrants searching for a better life. But it also happens to be a popular destination for would-be entrepreneurs to emigrate to. The World Bank labelled Canada the best place in the G7 nations to start a business, and thanks to an open immigration policy it’s comparatively easy to enter the country. Add a strong banking system, growing job market, and high standard of living, and it’s no wonder. For many, the government’s Start-Up Visa launched in April is making Canada an even better place to start a business. 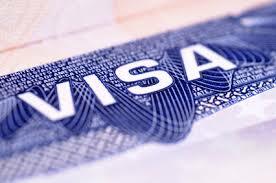 The program, which awards permanent resident status to those who qualify, is a huge incentive. The 2,750 visas are intended to attract the best and brightest, which means applicants must meet a set of criteria to qualify, and even if a visa is awarded it doesn’t guarantee success for the business. Naeem Noorani knows how difficult a new start can be. He came to Canada 15 years ago and unable to find a job in the world of advertising he took a job in publishing. A round of layoffs in 2003 again left him looking for a job. Unable to find a good paying position, he decided to start a business. In 2004, he launched Canadian Immigrant Magazine to highlight the success stories of immigrant entrepreneurs, grew it to a $250,000-a-year publication, and then sold it to The Toronto Star in 2006. Mr. Noorani is now a managing partner for Destination Canada Info Inc. and bestselling author of Arrival Survival Canada. He was also part of a Start-Up Visa roundtable discussion with federal Immigration Minister Jason Kenney. Mr. Noorani learned how to address the many challenges of setting up a business as an immigrant through a YMCA self-employment program. “We know we’re going to have challenges accessing traditional banking because we’re new to the country,” he says. “This program took me through the whole process of how to apply for a bank loan, how to go there, how to present yourself, how to create a business plan. It was very methodical, and I owe a lot to the YMCA. “Immigrants say they want to come to Canada and start a business. I would say don’t do it. Spend at least a year in Canada before you start a business because if you’re going to replicate the business you did back home without seeing if there’s a demand for it, you’ll lose everything you brought,” he advises. David LeBlanc, managing director with Ferriera-Wells Immigration Consulting, agrees that taking time to do market research will only benefit your efforts in the long run. One of the requirements for the Start-Up Visa is developing good English language skills. Matt Man, founder of Green Owl Mobile, was born in Hong Kong and lived in Canada for 20 years before launching his traffic app. But he still found that communicating effectively was one of the biggest hurdles to overcome.